This Yaesu FNB-V104LI Battery has a capacity of 2000MAH and a voltage of 7.4V. Suitable for Yaesu Vertex VX-230 VX-231 VX-228. 100% compatible and 100% safe. 1-year warranty, 30-day money back guarantee. 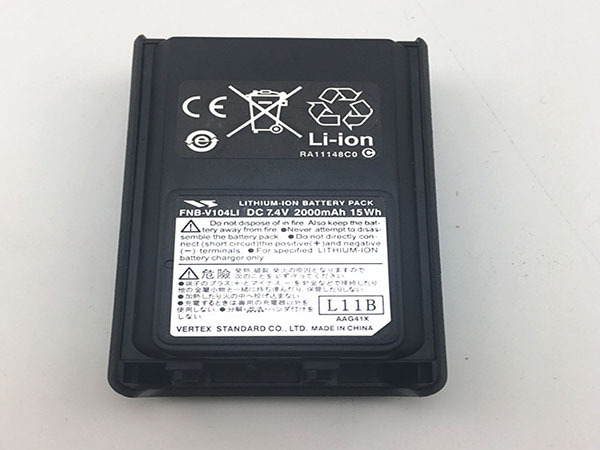 Wholesale and retail Notebook Battery in NZ. Replacement for Acer, Apple, Compaq, Dell, FUJITSU, IBM, Lenovo, Sony and so on.